Get ready for the next round in the saga of the UFC's lawsuit against the State of New York, because an appeal has officially been filed. When last we left the UFC's lawsuit, it was dismissed by Federal District Court Judge Kimba Wood on the grounds that Zuffa lacked standing. 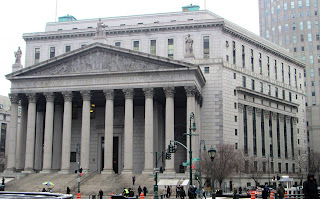 It was Judge Wood's view that because there was never actually a UFC event that was shut down by New York's 1997 Combative Sports Law banning pro MMA events, the UFC was out of luck when it came to being able to take the State Attorney General to court over the matter. But, as is often the case when a party has the deep pockets to match its desire, the fight isn't over. 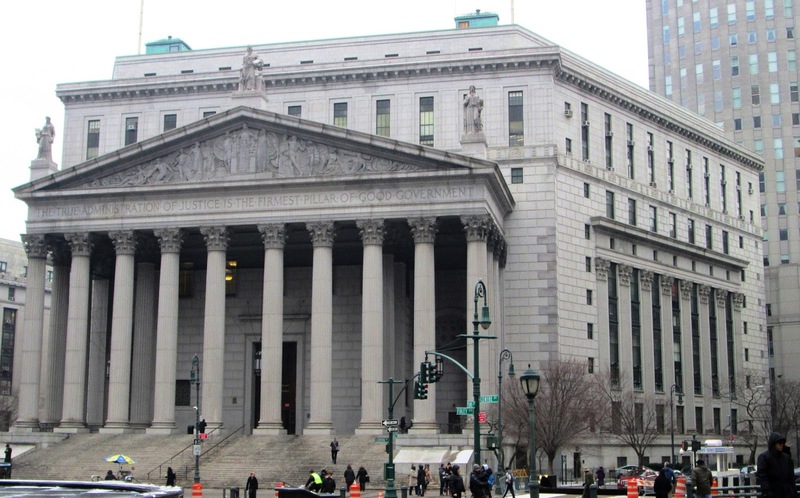 On Tuesday, attorneys representing Zuffa filed an appellate brief with the United States Court of Appeals for the Second Circuit. It's important to note that the Court of Appeals doesn't hear issues of fact, only issues of law, which means that all the facts that came out in the trial phase via discovery will be the only facts of the case going forward. There will be no more evidence gathered, no more witnesses called and no more testimony. The Court of Appeals only cares if the law as interpreted by Judge Wood was interpreted correctly. It's Zuffa's argument that it wasn't, and the Court of Appeals should either answer the Constitutionality questions about the Combative Sports Law itself, or kick it back down to the District Court and make them re-examine the case. -Judge Wood messed up when she dismissed the First Amendment claim. Back when the UFC's lawsuit first dropped in 2011, the "sexiest" of all the claims was that the law violated the UFC's First Amendment protections for Freedom of Speech. The argument was that the legislature, when they were first mulling over banning the sport, wanted to prevent the barbaric message cagefighting imparted on viewers - especially kids - and banning a message is a no-no according to the First Amendment. Judge Wood didn't buy that, saying that MMA is just a sport and lacks sufficient elements of communication, but according to the appellate brief, that was a mistake. [New York] has enacted a law that prohibits MMA only when performed before a live audience as entertainment... Worse still, New York has done so precisely because MMA is communicative when exhibited before a live audience, and communicates a message with which the state disagrees... Just as the government may not prohibit the burning of draft cards only as part of a public protest, or the display of art only as a part of a public exhibition, the state may not prohibit MMA only as a part of a public performance. It is a major sticking point that the sport can be practiced in gyms in New York and can be watched on TV, but the law singles out live professional performances and bans them. -The UFC most certainly has standing because they're in the business of promoting live events, and that's what the law bans. Regardless of whether or not the UFC has had an event shut down, the brief asserts that it doesn't matter. Having heard from the state itself repeatedly that live MMA events are prohibited - period - and having witnessed repeated enforcement of that policy, Plaintiffs were not required to go back and ask, "How about if we hold a live professional MMA event at Madison Square Garden on August 3?" to substantiate their undisputed assertion that, but for the challenged laws, they would hold live professional MMA events in New York. There are further assertions that Judge Wood used incorrect standards in determining if the UFC had standing, but that's the gist of it. -The law is too ambiguous and has been interpreted by authorities too inconsistently - it's very much Unconstitutionally Vague. This was the big issue that was left unresolved by the District Court, and the focus of the fight for the last couple of years. Judge Wood herself, in dismissing the suit, suggested there was meat on this bone, and that the UFC should keep gnawing. Well, the UFC is, and given the state's history of flip-flopping on how they enforced the law, this is particular portion of the meal will be delicious. How strong are these arguments and what will the Court decide? They seem pretty solid - although it's hard to predict the future when it comes to what side a judge (or judges) will come down on. But appeals are an entirely different animal than trials, an animal that's more about ascertaining the most accurate interpretation of statutes and case law, so it should be fascinating.